When everyone around me is rushing to build their own career in a reputable company, rushing to meet guys to form a family, I'm taking my own sweet time to enjoy what everyone call "life". It's not that I'm not living under stress each and every day, worry about my unstable financial due to my job (model and blogger/influencer), it is because I know what I want in life, I'm sure of myself and I know I'm working towards my goal, even though slow but it's okay. I wasn't feeling as comfortable with my own pace or at ease with who I am just merely 3 years ago, I guess maturity played a big part in teaching me lessons of life, telling me to take time and appreciate the goodness in life instead of rushing to become like everybody else. I still can remember the days I always feel emotionally unstable, self-doubting, couldn't focus on what I was doing/wanting to do. It was really really bad when people around me was telling me who just got a raise, who changed to a better company, who just got married/pregnant/delivered a baby. I got affected by all these news and I can't even scroll Instagram/Facebook for long because I would compare my so-call-miserable life to other people's highlight. Some may see time as a cruel thing, but to me, time is like a kind teacher. Time taught me how to be patient, how to be gentle to others especially myself, time also taught me to appreciate the things I own, the people I'm with and appreciate myself more. I became fearless! 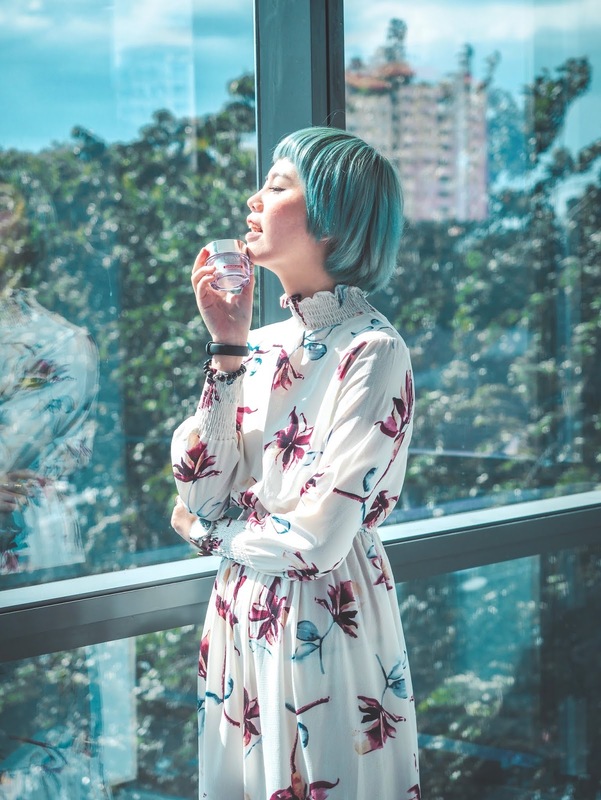 After being comfortable of who I am, I starting accept challenges in life, taking path less taken, trying new image and hairstyle almost every month, meet new friends, travel to new countries, try new dishes. I've been constantly trying to discover more sides of me and see how far I can achieve in life at my own pace. That's why I felt the familiarity of aura when I attended Olay's Whips moisturiser and Magnemask collection launch few days ago. I love when brand speak to us like a true friend, who ask us to be who we are, need no to worry about the rest because they'll be there for us. Olay made me believe that together, we can achieve anything, including stop skin ageing! Customized my own magnetic wand to build a strong bond between me and Olay! I can sense that this will be a fruitful skincare journey for me. I've yet seen any reviews on the internet regarding Olay Magnemask jar mask collection (not even on Olay's official Instagram!) 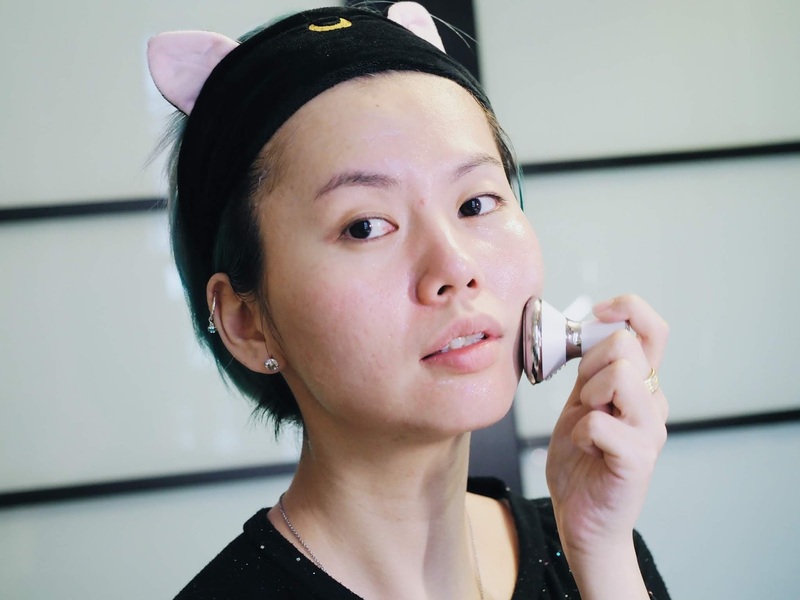 hence I believe we're among the first to preview these all-new powerful mask that provides up to 12 hours long of hydration and 3 times more infusion when apply with the magnetic wand. Olay Magnemask collection comes in two types: Rejuvenating Jar Mask and Whitening Jar Mask. Since this Olay Magnemask collection can act as sleeping mask for better result, I decided to try on the mask right on that day when I receive. I have very bad habits that affect my skin's condition: I slept late. I slept so late that sometimes the sun comes up and people are heading out to work. I got so much to do and yet I don't really have time to do mask application that requires waiting time of 10-20 minutes then have to wash off again. 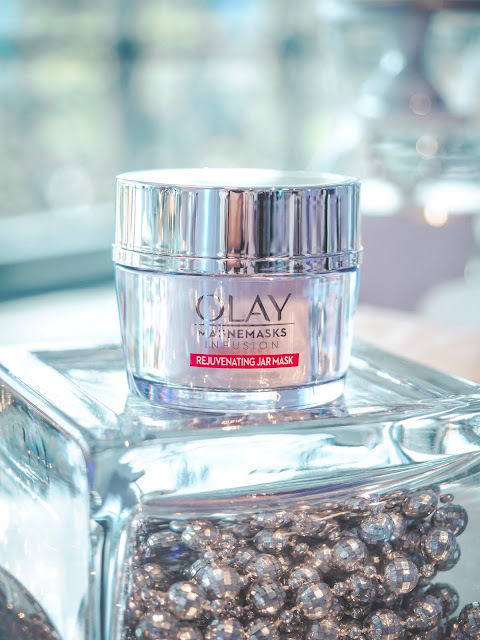 Olay Magnemask just need 2 minutes for application and there goes an all night long of hydration and nourishment to skin! 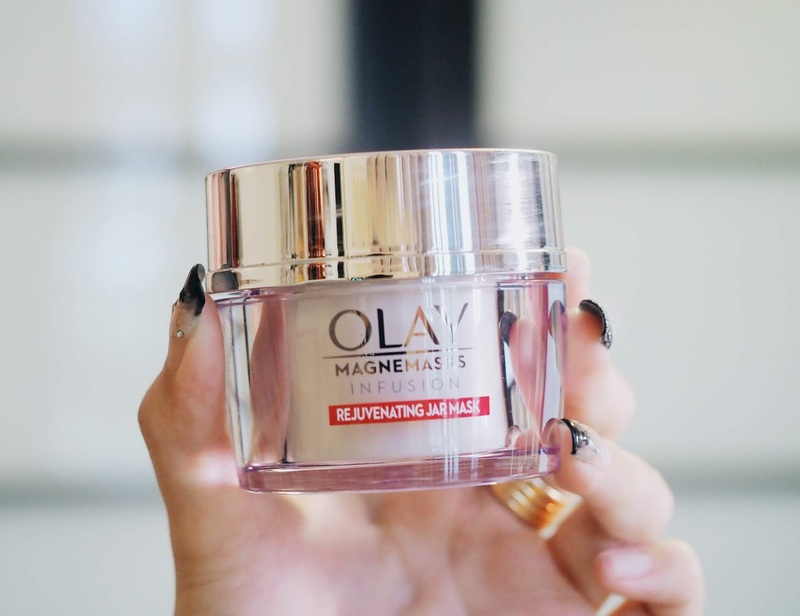 Olay Magnemask collection has this breakthrough technology that they modified the molecule of Vitamin B3 and Penta-Peptides for our skin's better absorption. 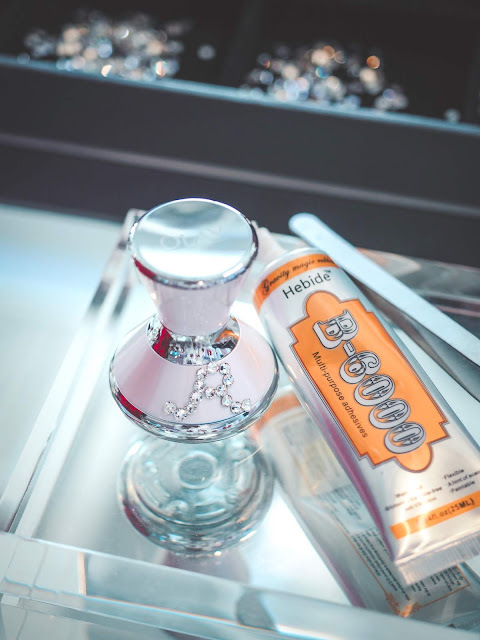 The texture is gel-like and upon contact with skin, it turns into water-like form that's just right for the magnetic wand to glide on. 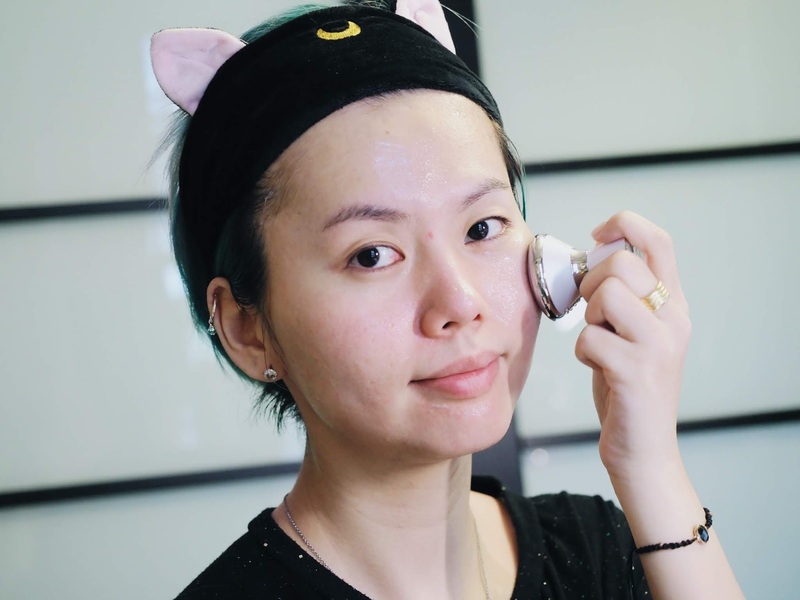 This has quickly become my favourite night time skin care routine because I love the feeling of the magnetic wand gliding on my face, giving it a lil bit of massage to my dull and tired skin after all day long and also infusing all the benefits from Olay Magnemask Rejuvenating Jar Mask ingredients all the way into 10 layers of my skin. Even though I slept late, I find that my skin glows (what sorcery is this???!!!) and the skin tones are even comparing to my previous skincare regime. I've heard that with this night time routine, skin barrier to block off environment factor oppressor of skin ageing will form stronger and stronger and I hope to see a more radiant looking me 4 weeks from now on! 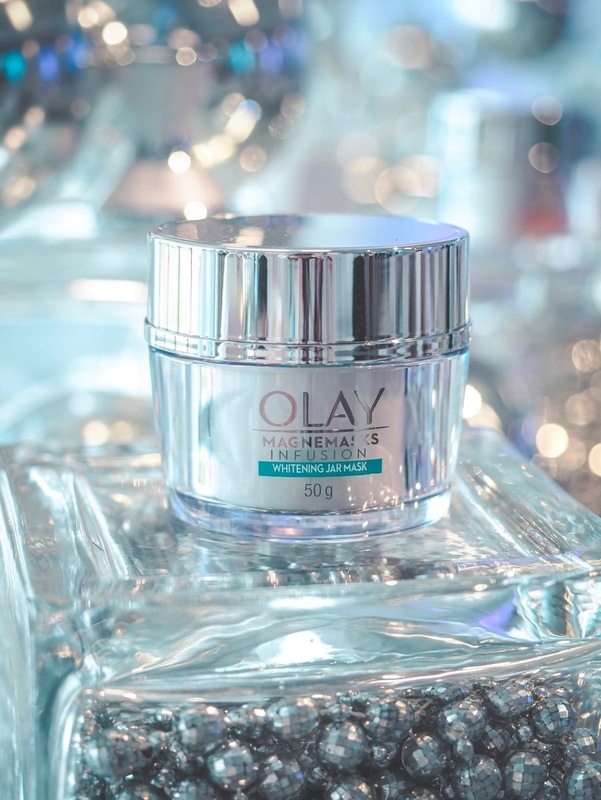 Aside from Olay Magnemask Collection, Olay has another achieve another huge success in the US for being the top selling face moisturiser in just 6 months with their new Olay Whips moisturiser that has light as air finishing upon application. These 3 jars of skincare has quickly become top skin cream in US and everybody is asking about it, hoping to know when they will start selling in Malaysia. We get to try these first hand at the launch as well and gosh, it was so light, that I can barely feel nothing after application, and the wrinkles on my hand has lighten comparing to the one that has nothing on it. The Malay lady sitting beside me has even more obvious effect that her skin tone is brighter when in compare. That's truly amazing! 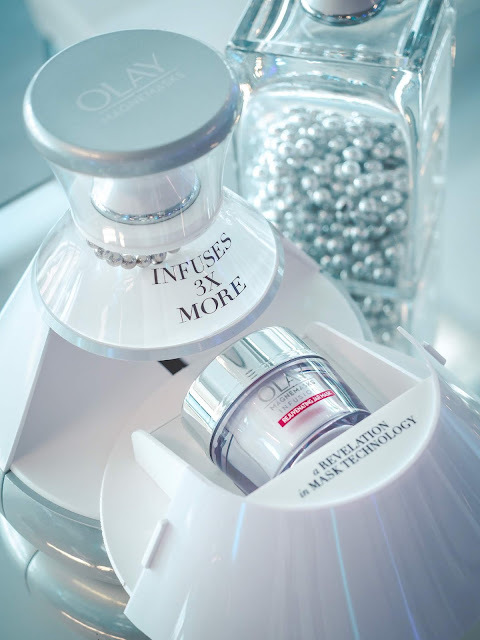 For all these while Olay's research scientist has been looking for ways to lighten the weight and texture of cream applied on skin yet doesn't compromises on the result, in hope that their research result will make women feel better all day long. 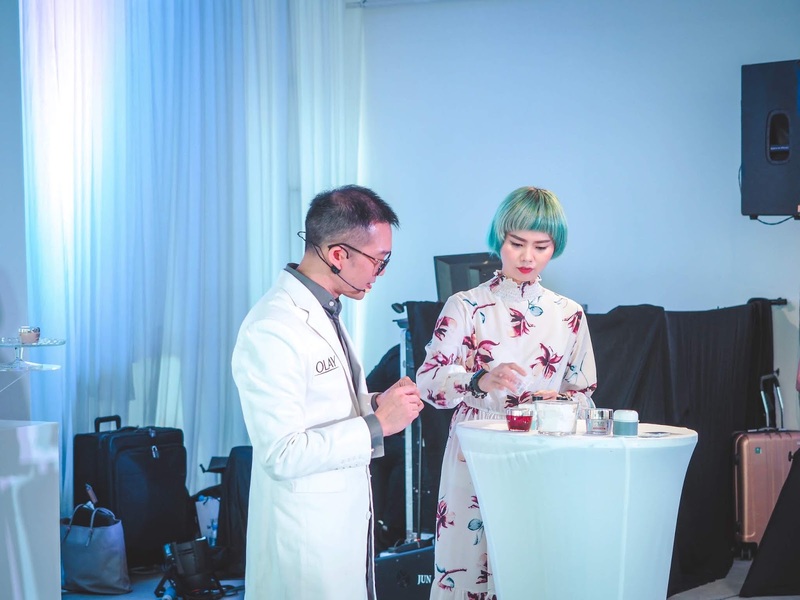 They discovered Active Rush technology and use this to formulate Olay Whips moisturiser series, which the molecules hold 1000x its weight in hydration and active ingredients, once contact with skin, it transform into liquid and flash absorbing into skin. Witnessed the power of Active Rush Technology upclose and personal, impressive! 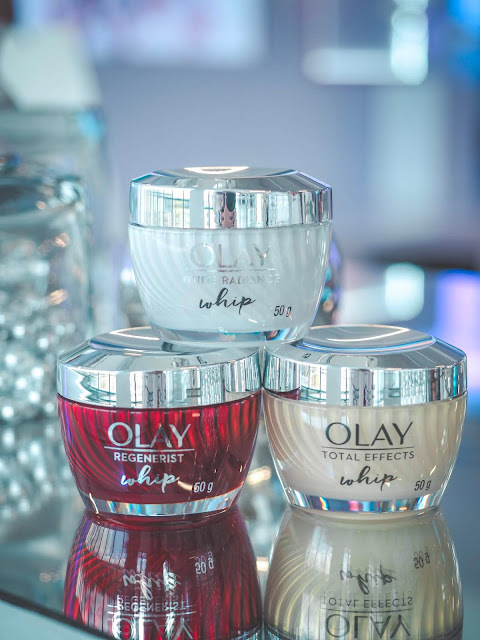 With smooth and matte finish, Olay Whips provides youth-restoring benefits to skin as well as targeting skin concern such as smoothness & firmness, tone perfection or overall nourishment. Finally a lightweight skin moisturiser that works without greasy finishing! These Olay products are now available to in all Watsons Store nationwide. Normal pricing of Olay Magnemask collection will be RM139 and Olay Whips series will be RM109. 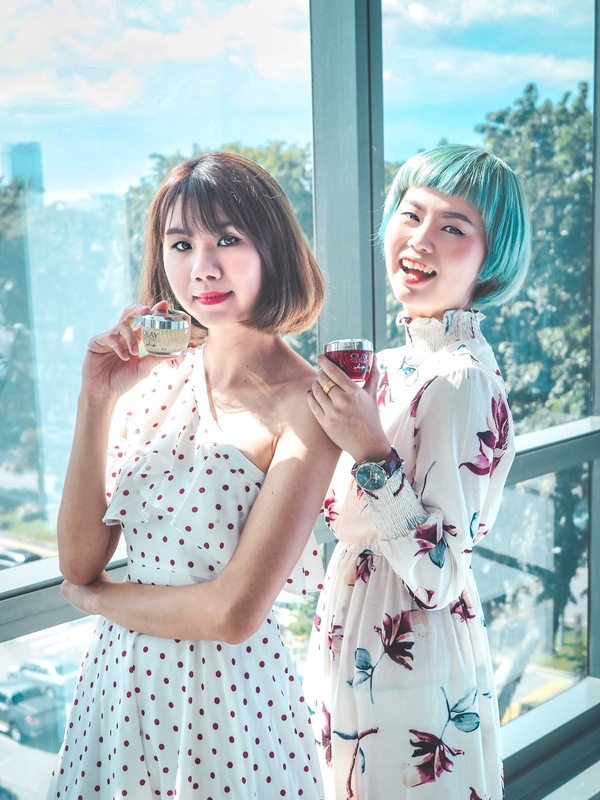 Watsons members can enjoy less than 10% discount until 20th February 2019. 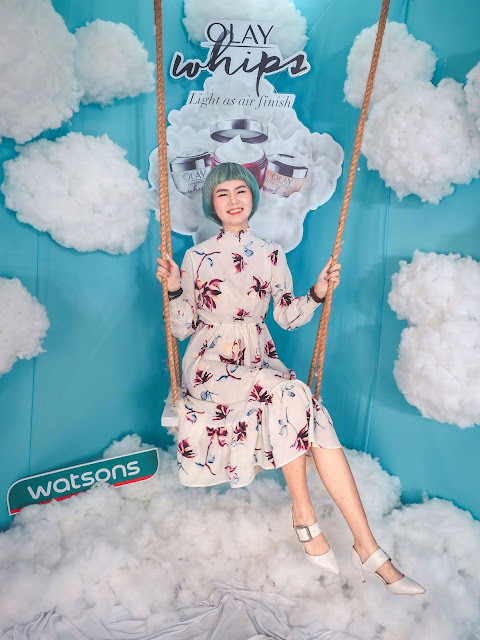 Do visit www.watsons.com.my for more information. Can't wait to become a better me this year with Olay.